To perform the gender prediction test, please collect your first morning urine sample in a clean plastic cup and let it cool down for 2-3 minutes to reach room temperature. Use the dropper (included) to collect the right amount of urine from your cup and gently squeeze your collected urine sample into a sample window on your gender prediction test. Immediate chemical reaction will occur, and the control test window will display your gender prediction results in 15 seconds. The gender prediction test result is easy to read! The control test window will change the color to either pink (Girl) or blue (Boy). 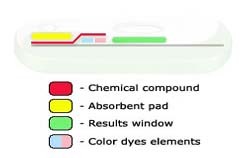 Please note that the colors may vary, and you should refer to the color chart included in your manual that comes with the test. The shipping is FREE anywhere in the world. What method do you use for shipping and how long does shipping take? We use USPS standard shipping. You should be receiving your package in about 5-7 business days in the United States. Please allow about 10-15 business days for international shipping. 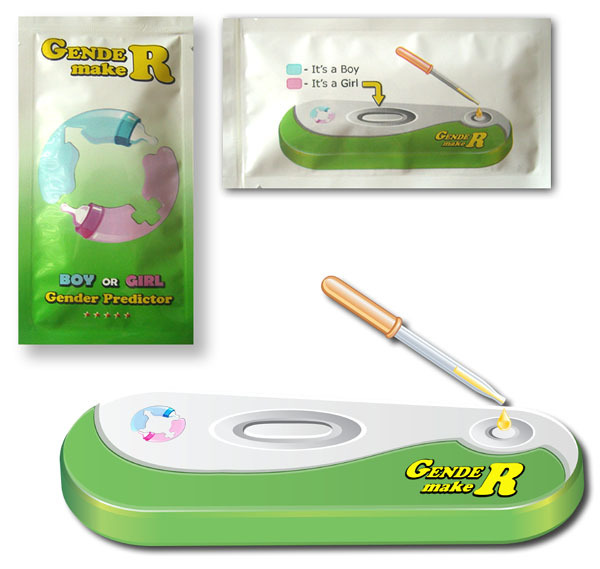 We will ship your gendermaker test within 24 hours of receiving your order. We accept Visa and MasterCard. Also for your convenience, we have partnered with PayPal and Amazon to offer new methods of payment. Test Cassette has a plastic molding with a sample window to collect the urine, and the window to display your gender prediction test results. 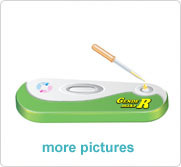 Gender Prediction test includes a plastic dropper to collect the exact amount of your morning urine sample.